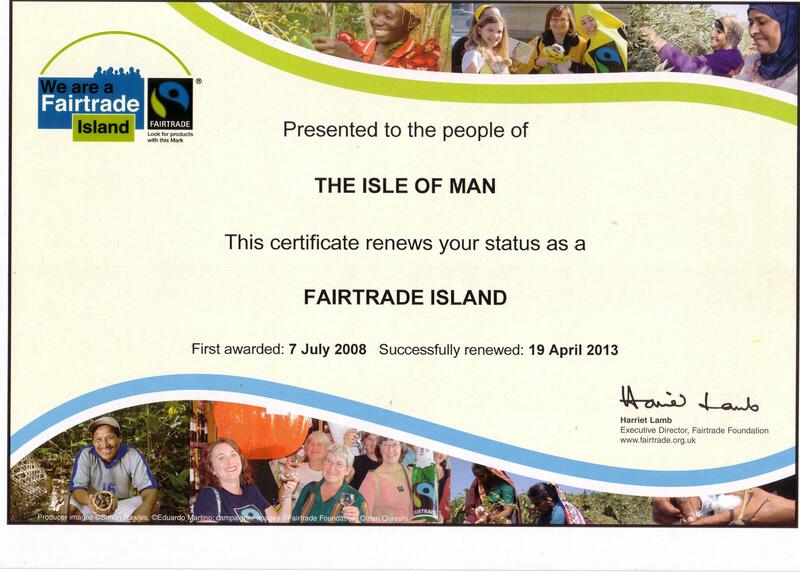 Today we received the certificate to show that we still have the right to call ourselves a Fairtrade Island. The Fairtrade Foundation says: It has been a huge pleasure to learn of all that has happened since you last renewed Fairtrade status. There are so many successes which you should be proud of. It was amazing to read about the Fairtrade conference and to see that pupils from so many schools took part. We are encouraged by their comments but we know there is still a lot to do to encourage the use of Fairtrade products in businesses, organisations and homes across the Island. Perhaps you could become one of our detectives and find out who is using Fairtrade goods in your area, and which products are stocked where.